The Penfield Pavilion has been closed since the beachfront structure was damaged during Superstorm Sandy in October 2012. A new wave of federal dollars will help move the Penfield Pavilion repair project forward. The Board of Selectmen on Wednesday unanimously approved an additional appropriation of $1.4 million for the project, with the understanding that the bulk of that money will reimbursed by the Federal Emergency Management Agency. The vote increases approved total funding from $6 million to $7.4 million. 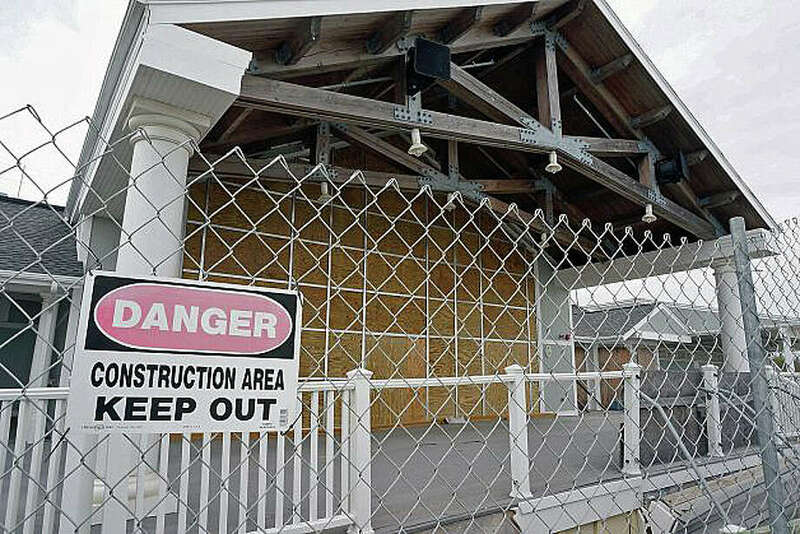 The town was recently notified that the FEMA reimbursement will be higher than expected because the federal agency has agreed the beachfront pavilion suffered damage more than 50 percent of its value in Superstorm Sandy, and the proposed project is classified as a “replacement.” The structure has been closed since the October 2012 storm. The net cost to the town is estimated at $1.5 million, according to Fiscal Officer Robert Mayer. The town’s costs also will be offset by insurance coverage and two additional grants. “It was worth taking the extra time to go through this with FEMA,” Mayer said. The project looked to be in trouble several months ago when bids for the repairs came in $1.2 million over budget. The building committee, under the guidance of Chairman James Bradley, reacted by trying to reduce the costs. When the group got to the point where members felt the reductions made the project a lesser one, they considered reverting to their first option for replacement — a building that did not include the east locker wing. Then, however, came the news of the additional FEMA funding, and Bradley said plans are now back to the project that all town bodies approved, which has the east wing lockers. Bradley said the project is now even better, because all of the “add alternates,” those features removed to reduce costs, are back in the plans. Those items include things like a stronger material for the railings and additional landscaping on the parking lot side of the building. The project is expected to take 10 months to finish, he said, with a tentative start date of February. “You’ll see the building moved in late spring,” Bradley said, and it should be back on its new foundation in August or September. “This is a project that’s going to run right through a busy summer,” he said. While Bradley admitted the process of getting the project moving forward has been “a little painful,” he said it is better to settle on the funding and plans now, rather than during construction.